Cute Shanghai: Etude House Shanghai Flagship store is Open! 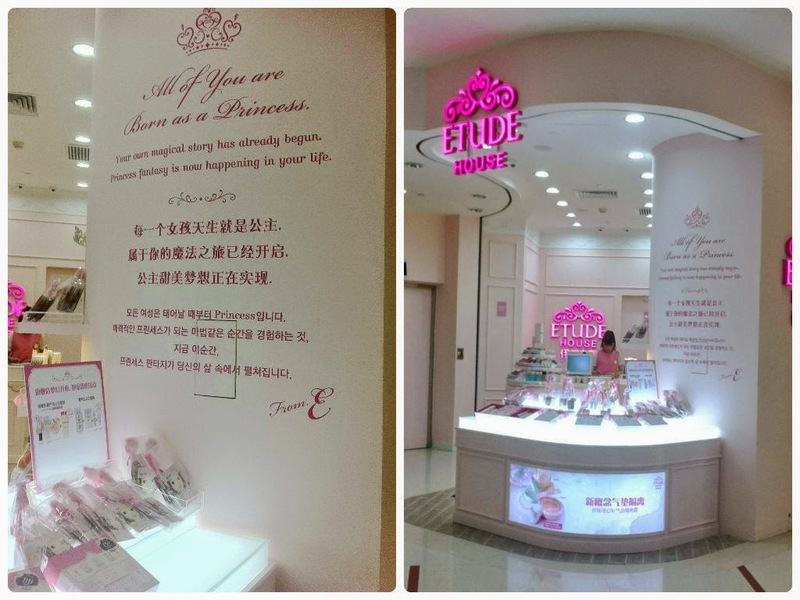 On August 8th, Etude House opened the doors to its Nanjing East road location. Despite the rain, girls lined up to get their hands on this famously cute cosmetic brand from Korean. The above photo was taken ten days after Etude House's grand opening. Although the shop has been open for over a week, patrons were will asked to line up and wait because the inside of the store was packed! These lipsticks look absolutely edible! I couldn't get over how packed it was! This princess carriage is amazing! And in case you didn't get enough, inside the mall that Etude House is attached to, is a small makeup counter with more of their items! You can find Etude House's Flagship store at Nanjing East Road (near the forever 21 and Innisfree). If you are by People's Square, there's also a shop inside Raffles City. I accidentally picked up the wrong box. The color is nice, but not the one I thought I was getting. Sorry! I just realized I posted it twice!